Worldwide cabbage farmers have vast problems with the diamond-back moth. It lays its eggs on the cabbage plants and the voracious appetite of the larvae ruins the yield. However, Morten Emil Møldrup from the University of Copenhagen has developed a method to deceive the greedy insects. Møldrup presents his spectacular research results at a public PhD defense on Friday 3 August. Morten Emil Møldrup. Click on photo to enlarge. 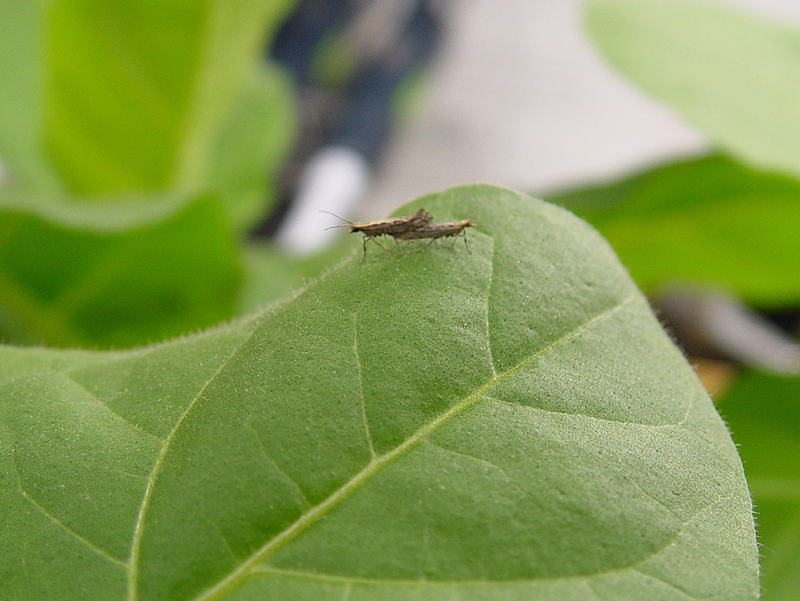 "We have discovered a way to cheat the diamond-back moths to lay their eggs on tobacco plants. As their larvae cannot survive on tobacco leaves they will soon starve to death. In the mean time you can cultivate your cabbage at peace," explains MSc in Biology and Biotechnology Morten Emil Møldrup from DynaMo, Center for Dynamic Molecular Interactions, University of Copenhagen. It sounds like an imaginative scenario too good to be true. None the less Morten Emil Møldrup and his colleagues from DynaMo at University of Copenhagen have shown that it is indeed possible 'to cheat' the greedy little insects in exactly this way. Morten Emil Møldrup has studied the defence compounds of the cabbage family, the so called glucosinolates, exhaustively. Glucosinolates are toxic to cabbage pests in general, the diamond-back moth being one of very few exemptions. The odour of the cabbage defense compounds attracts the pregnant diamond-back moths. To them the 'defence odour' is a signal of an ideal place to lay their eggs. In this way they ensure their larvae plenty of food without competition from others. After having thoroughly established how a cabbage plants produces defence compounds, Morten Emil Møldrup and his colleagues have successfully transferred the genes responsible for the production of glucosinolates from cabbage into tobacco plants. "Our experiments show that it is indeed possible to fool the diamond-back moth to lay its eggs on tobacco plants. This is fantastic because the larvae are a major problem all over the world. At present we are aiming at making glucosinolate producing potato plants. The goal is to avoid diamond-back moths’ larvae in cabbage by cultivating potato and cabbage plants together. In this way a lot of money is to be saved, and in addition the growers do not need to use the big amounts of pesticides commonly used today. In this way one may say that our discovery is also of benefit to nature," Morten Emil Møldrup tells. Morten Emil Møldrup from DynaMo. Morten Emil Møldrup’s PhD thesis is comprised of six journal articles. The thesis focus on two important plant defence compounds and their biosynthetic pathways and elucidates how biotechnological use of these compounds can pave the way for future crop protection. The PhD defence takes place Friday 3 August, 1:00 p.m., at University of Copenhagen, Thorvaldsensvej 40, 1st floor, room M117, 1871 Frederiksberg C.
Morten Emil Møldrup, mobile: + 45 61 30 93 20. Click on the individual photographs to see and download them in high resolution. The press is free to use the photographs. Please credit: University of Copenhagen.